New house, new job, it feels like a new life! 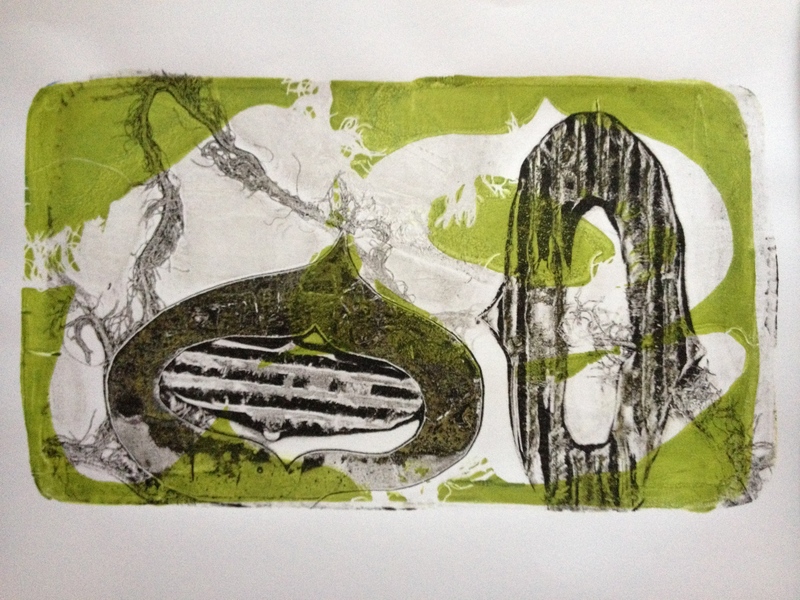 I’m still setting up my studio but meanwhile I signed up for an online gelatin printmaking course with Linda Germaine. 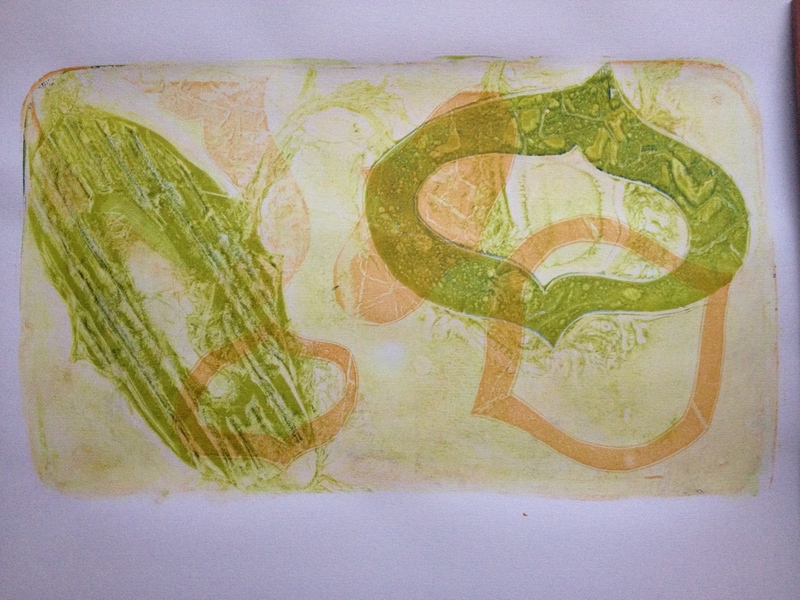 I originally learned the technique of gelatin printing with Linda Dunn, and she learned from Linda Germaine. I also have an out of print book on the subject by Nancy Marculiewicz. 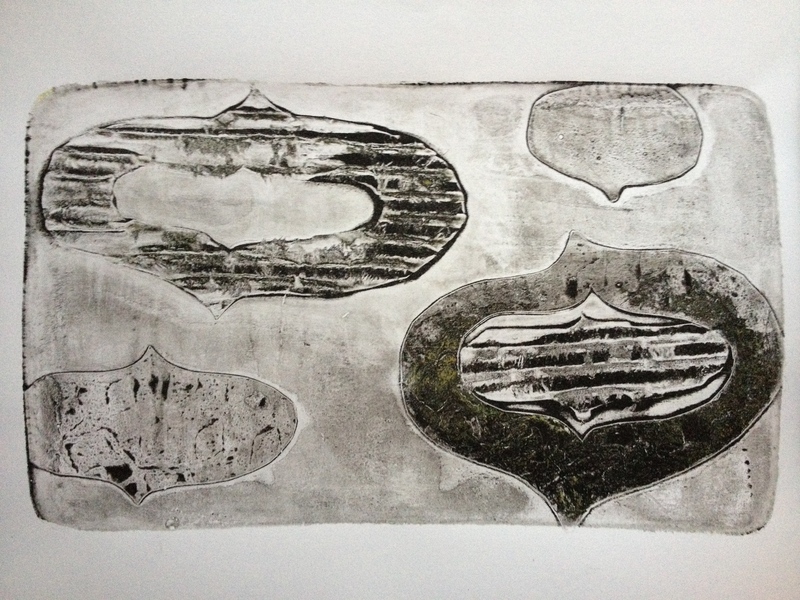 These prints are part of a warm-up exercise Linda uses to get started and develop muscle memory. I confess I was skeptical at first, since I have a bad tendency sometimes to think I know enough to jump ahead of the preliminary exercises, but this was worthwhile and my daughter and I had a lot of fun following along with her video presentation. Basically she has you make prints with some simple stencils you make in advance from different materials and some bits of string you can find around the house. Here I have used cardboard, milky white plastic from a 1/2 gallon of milk, and a textured folder. 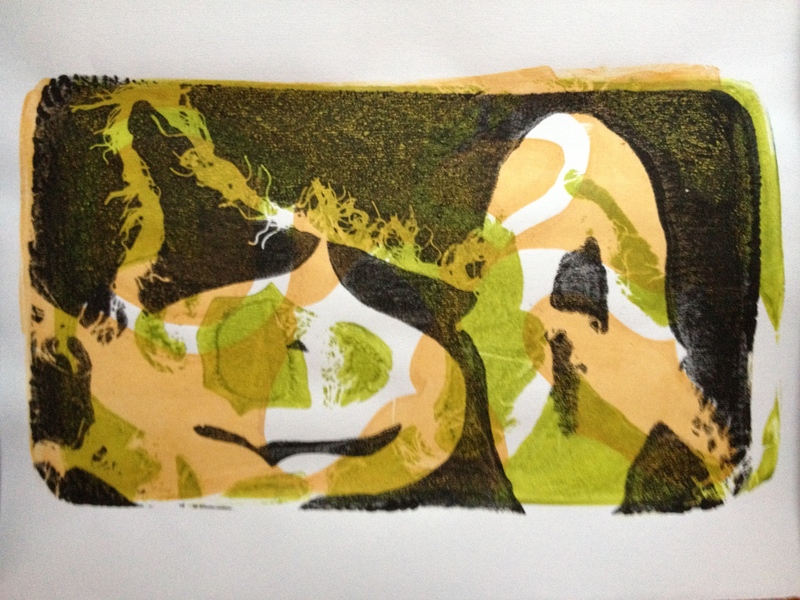 Working quickly, you make a pile of prints, and then you turn the pile over and overprint the prints you just made. I used Golden open acrylics, but the black was too thin necessitating a switch to Speedball for the last part of the exercise. I love how the corrugated cardboard picks up the ink. It felt wonderful to be working with ink and paper in a way that didn’t require a whole lot of thought or planning. This would be a good exercise to return to on a day that I’m feeling stuck. My toolbox of basic art supplies got packed away in some box and I can’t find it. It was the box in which I put my pencils, my exacto knife, my lino cutters. So, I’ve started replacing, which necessitated a visit to Van Gogh’s Gear in Lowell. They had some linoleum that wasn’t mounted to a board so I’m going to try carving that. 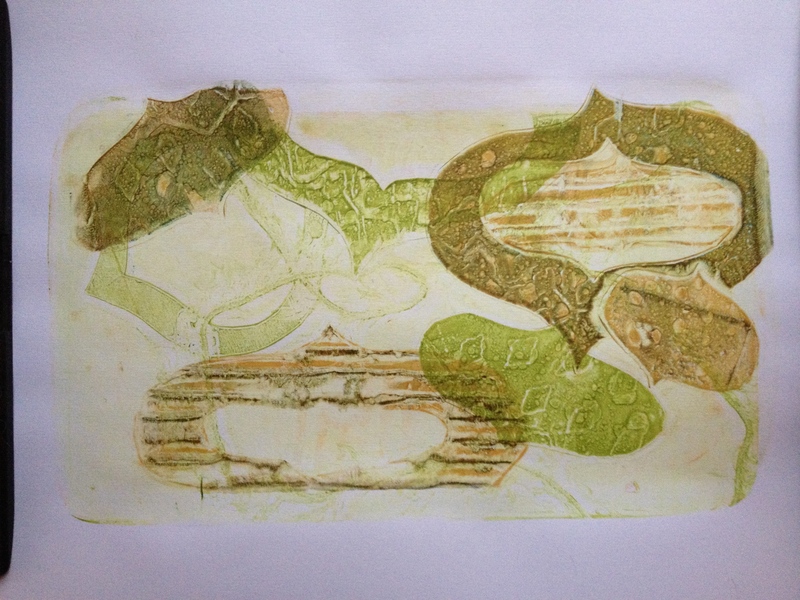 I’ve been using the easy carve plates but they can break with rough handling.